The Intergovernmental Authority on Development (IGAD), the East African economic bloc that has been hosting peace talks over South Sudan, said today that its members were prepared to send forces to to the country to stabilize the situation. This comes as peace talks were put on hold yesterday, after the parties failed to make any progress on a lasting settlement to the country’s crisis. IGAD hopes the talks will resume later this month. It is not clear which IGAD members would be offering to deploy troops. Uganda, which is a member of the organization, already deployed troops to the country. Those forces, however, were sent to support the government rather than act as an independent force. The Ugandan intervention became a major point of contention between parties in South Sudan, as well as among IGAD members. Last Month, Uganda announced that it would begin a phased withdrawal of its forces in April, with the understanding being that they would be replaced by other forces, hopefully with an African Union or United Nations mandate, or both. IGAD is reportedly consulting with both the AU and the UN about the details of its proposed force. 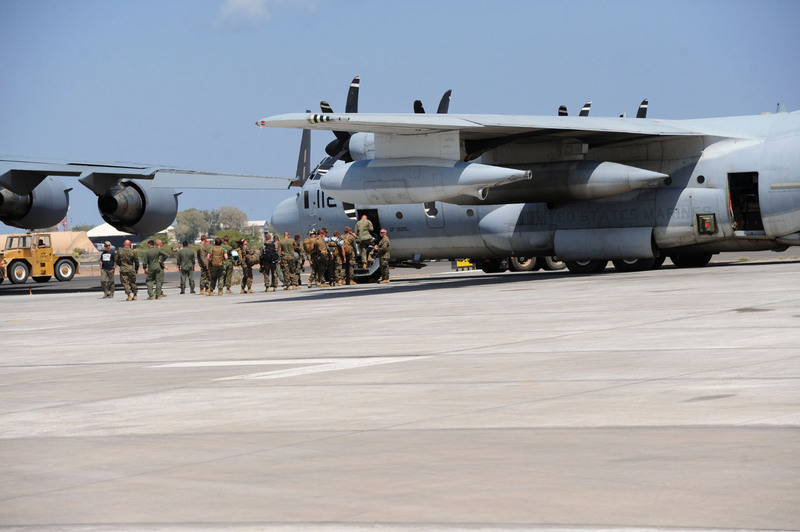 Members of Special Purpose Marine Air Ground Task Force – Crisis Response board a KC-130J at Camp Lemonnier, Djibouti, as they prepare to return to their base in Spain on 1 March 2014. SPMAGTF-CR had been forward deployed to Djibouti to be able to better respond to the crisis in South Sudan. At this point, it does appear that there is a need for an independent international force in South Sudan. 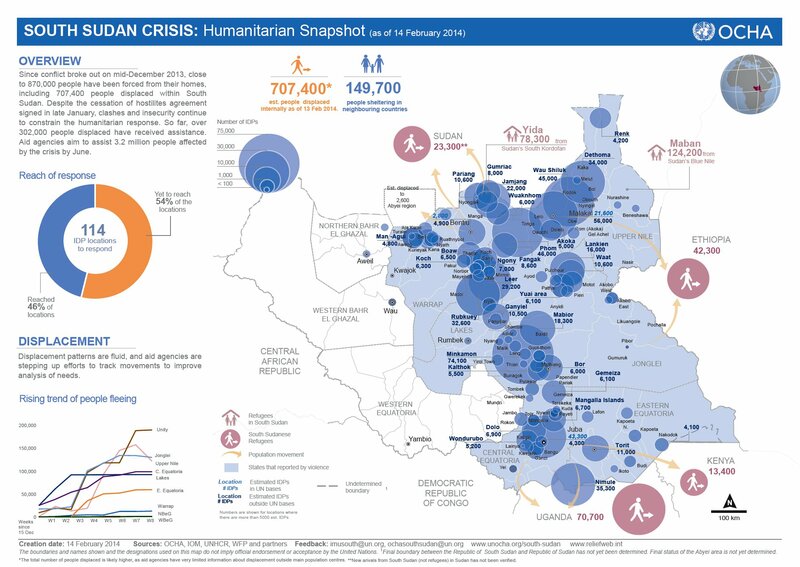 Despite the ongoing talks and a ceasefire agreement in January, violence in South Sudan has continued, as government forces and rebels jockey for control of important cities. The crisis may have stabilized to a degree, however, as the US has begun removing military forces it had deployed to help evacuate American citizens and protect diplomatic facilities. It is also possible that with the end of the evacuations and the relocation of certain diplomatic functions outside the country, that there is just no further reason for them being forward deployed in the region. The latter is perhaps more likely given reports of fighting in the capital. There have been reports of atrocities on both sides after violence erupted last December following a reported coup attempt. Government negotiators and opposition representatives have accused each other of preventing peace talks, being held in Ethiopia’s capital Addis Ababa, from moving forward. The major stumbling blocks surround the future of the country’s current leadership, the continued detention of individuals accused of attempting to overthrow the government, and the charges brought against opposition political figures, who have since gone into hiding. The continued crisis has had serious humanitarian impacts as well. The UN estimates that over seven hundred thousand have been displaced internally by the fighting, and that over a hundred thousand have fled to neighboring countries. The UN also believes that over three million people inside the country are in need of humanitarian assistance. The crisis has made it hard for international organizations to conduct independent assessments, however. The UN has had difficulty securing funding from its members and there has been evidence of diversion of aid to combatants, as well. The UN has also largely refrained from estimating how many people might have been killed since December. This entry was posted in Uncategorized and tagged IGAD, peace talks, peacekeeping, South Sudan, Uganda. Bookmark the permalink.